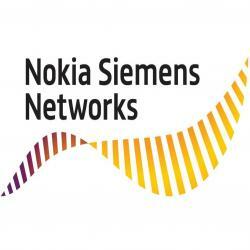 Nokia-Siemens Netowrk has come up with a new architecture for mobile networks today at CTIA Wireless 2011 which will now be able to direct mobile broadband capacity to where it is needed most. Known as Liquid Radio, the approach enables a more economic use of network resources through sharing and redistributing capacity based on user demand. Nokia Siemens Networks has also announced its innovative Flexi Multiradio Antenna System as part of the Liquid Radio architecture. The company expects to begin to deploy this architecture during 2011. With its unique, broad product and professional services portfolio, Nokia Siemens Networks helps operators to build unified heterogeneous networks. This approach reduces management complexity and allows connectivity for different layers of the network in one unified network and user experience. This is orchestrated by the company’s Self Organizing Networks (SON) capability and its continuous evolution to fully support cognitive self learning and adaptive networks.